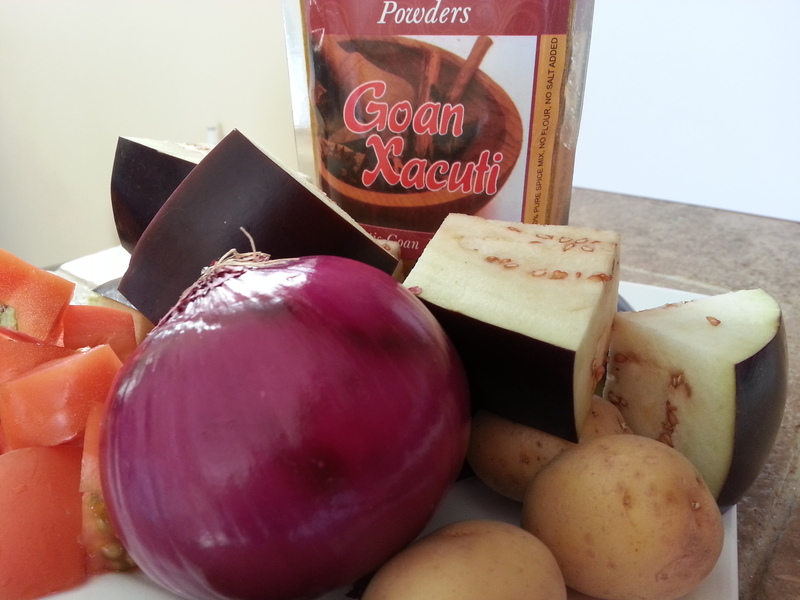 This eggplant and potato curry recipe is found often in most Indian restaurants and is one of my husbands favorite dish. Since I mentioned in my older post that we have started a gluten free (we cheat at times) diet and calorie counting to loose weight I am a bit apprehensive at most time to consume lot of carb rich foods but its hard to stay away as its the first thing you reach for when you are hungry or tired. Needless to say I realized that skipping the potato would not thicken the gravy and taste the same. If you do like shrimps I have cooked the same recipe by adding shrimps before. Just add the shrimps when u are adding the tomatoes. I know it get a bit chewy but it adds a much stronger flavor. Each cook is an artist and so you can choose your canvas and colors to make your art. I thank my mom for teaching me it is ok to experiment and make mistakes in cooking because it will help you to develop your style. This recipe is so simple and delicious you can enjoy it with bread or rice. Heat oil, add the finely chopped onion. Saute’ till translucent. 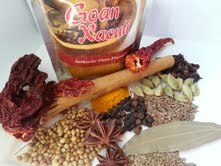 Then add the xacuti spice mix saute for 15-20 seconds. Once done add the chopped tomato and mix for 2-3 minutes till it softens. 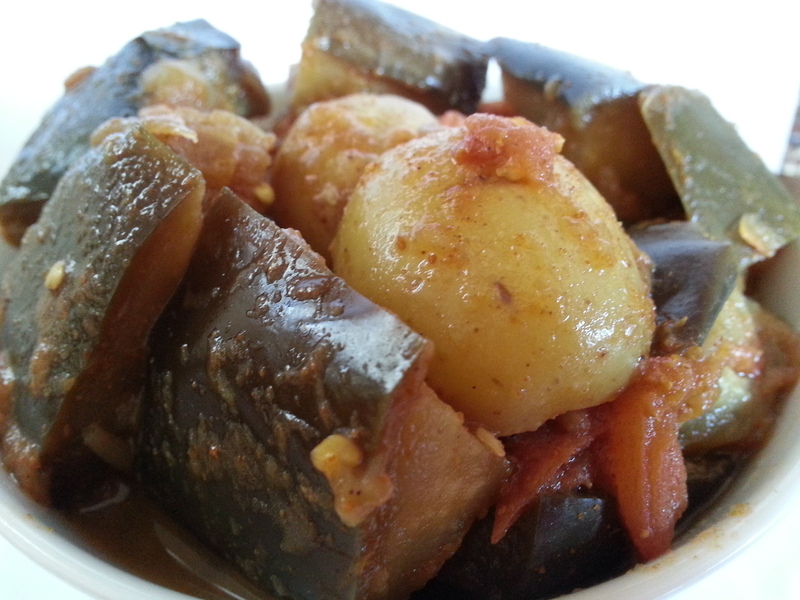 Cut eggplants is 2 inches cubes and half the fingerling potatoes. Add the cut potatoes and eggplant and stir for a minute or 2. Then add the water and salt to taste. Cook covered on medium heat check occasional and stir till the potatoes get cooked. If you like you can garnish it with chopped cilantro. I look eggplant, especially in curries. Your recipe looks and sounds delicious! Thank you Foodie in WV.